Rebecca writes about traveling and simplicity on her blog renaissancerebecca.com. 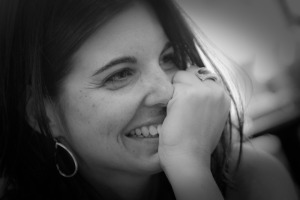 She was a regular blogger at BustedHalo.com where she documented her 500 mile walk on Spain’s Camino de Santiago. Upon her return, she blogged about bringing the lessons of the Camino into her life in the U.S. She has also written for WOW-Women on Writing, Winning Ways, and Kaleidoscope. She is an on-line math tutor at PathToMath.org.